Samaria (Samaria Gorge) The walk through the Samaria Gorge on the greek island of Crete is an amazing, intense experience. It was the Narrowest canyon in the world. 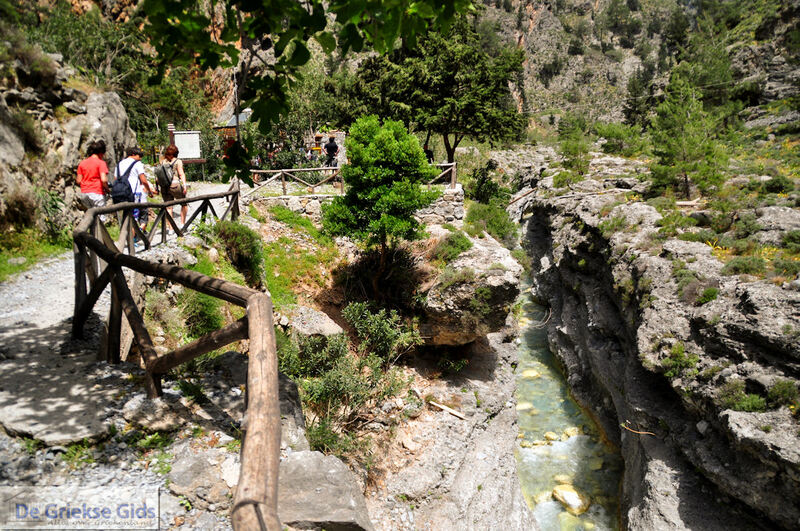 the beautiful walk through the Gorge is 16 kilometers. In some places the pass is only four meters wide, with cliffs of 500 meters high. In the spring you will not pass through the gorge without having wet feet, but in summer the river is completely dried up. 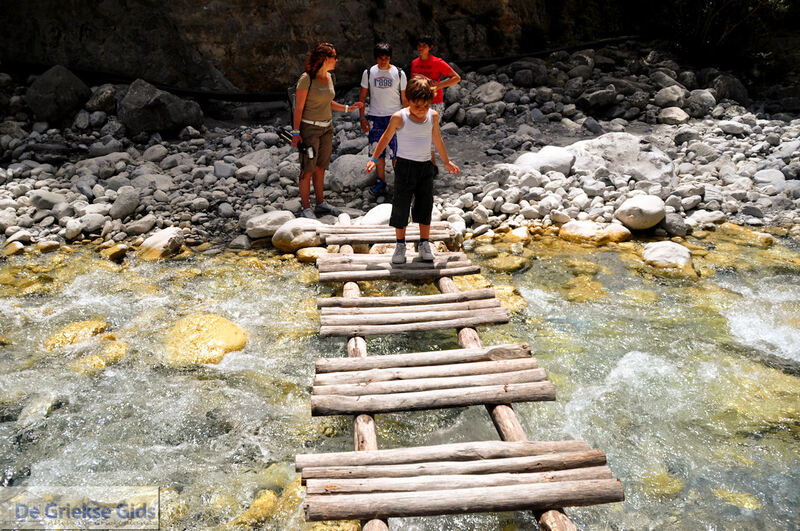 Today in spring small wooden bridges and walkways are placed to help cross over. So that your feet will stay somewhat dry. It is a varied and exciting tour, also for children from 7 years old. 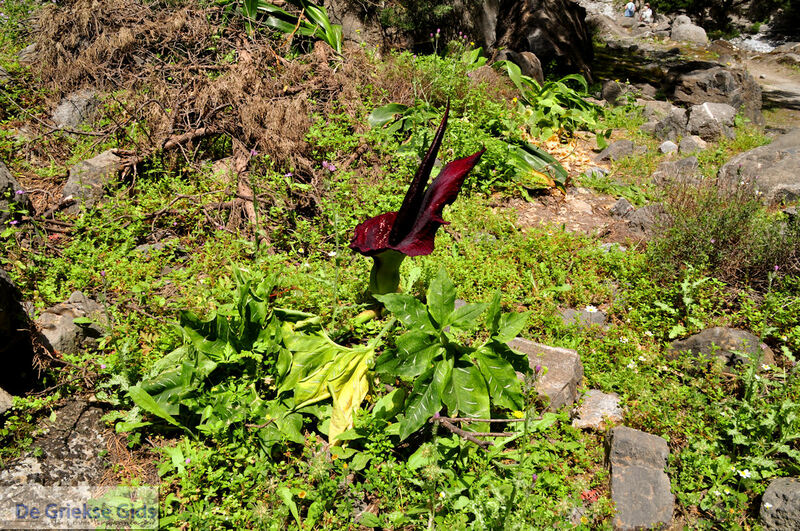 if you go there it is advised to take sturdy shoes and a cap or hat against the sun with you. And for those that don’t make it there are donkeys that help people through the pass The Narrowest point is called the Iron Gate. 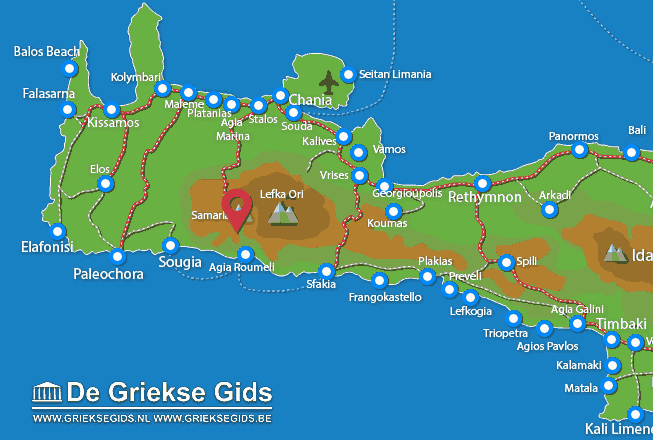 The end of the pass goes towards the Libyan sea, but it is still three kilometers from the south coast.When you are out of the cove, at Agia Roumeli, the boat takes you to Paleochora or Sfakia. 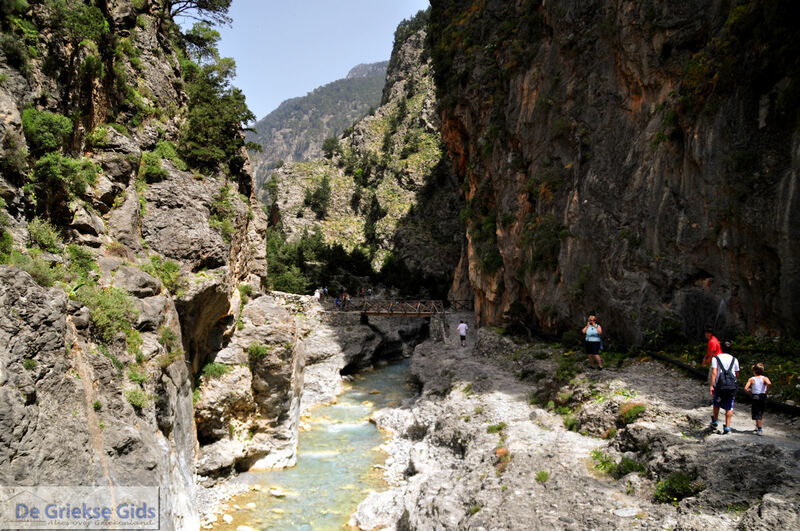 The Samaria Gorge is about 14 million years old. Through erosion, the pass deepened. 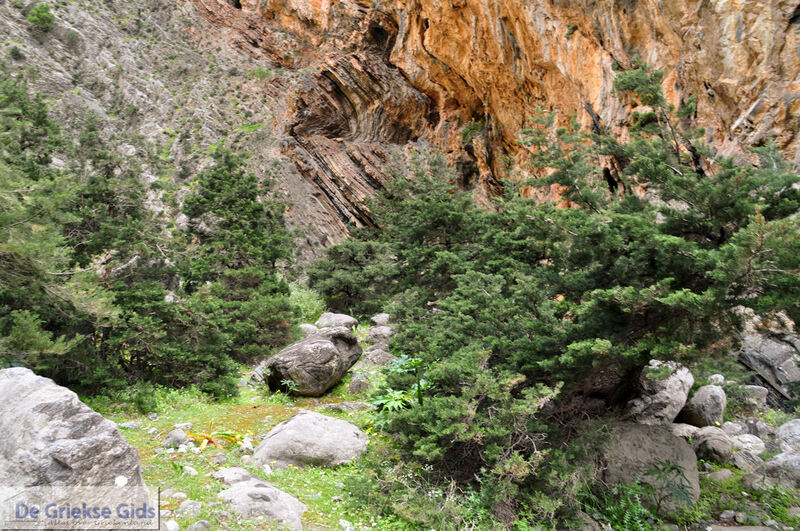 In 1962, the Samaria Gorge was declared a national park Because of the rare plants and animals. 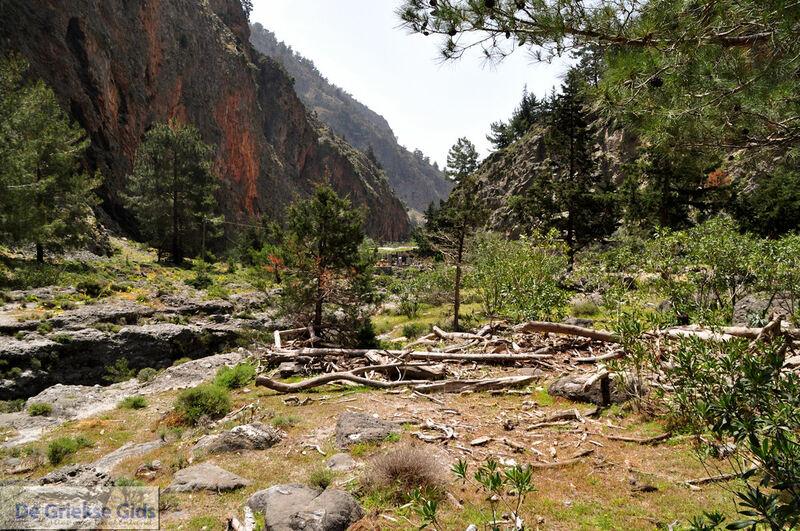 (like the endangered Kri-Kri-goat) inside the gorge lies the village of Samaria-which has not been inhabited since 1965. There are also a number of small Byzantine chapels-which are near to a water source. It is advisable to bring a water bottle for drinking water, but you do not have to carry gallons of water around Because you can refill your bottle at the various water sources. 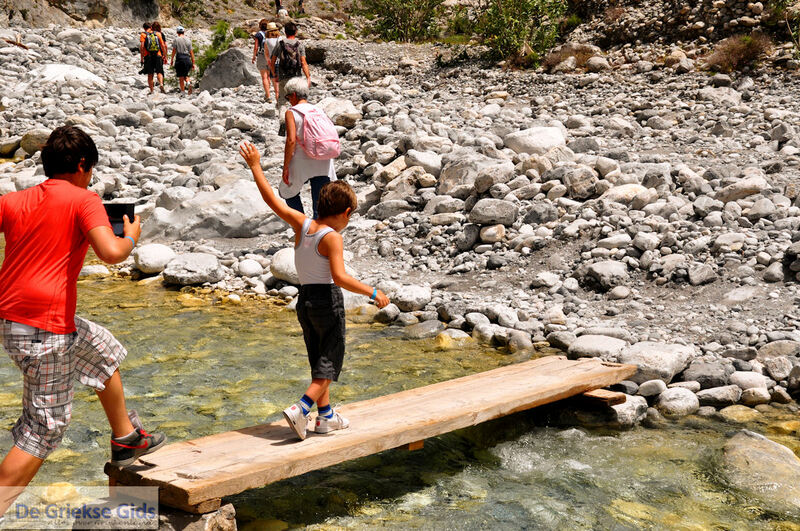 Depending on the amount of rain that has fallen, the Samaria Gorge is open from mid-April to late September. 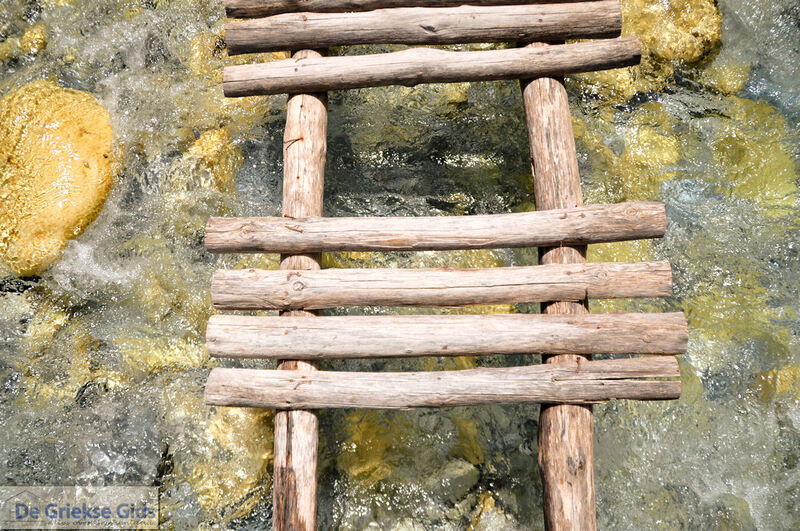 If you stroll through the narrow gorge, you will be walking in the spot where in the winter the river flows. In the winter the pass is impassable and therefore it is closed. It is also possible to take the "lazy route where you take a boat from Chora Sfakion to the end of the gorge, to the village of Agia Roumeli. 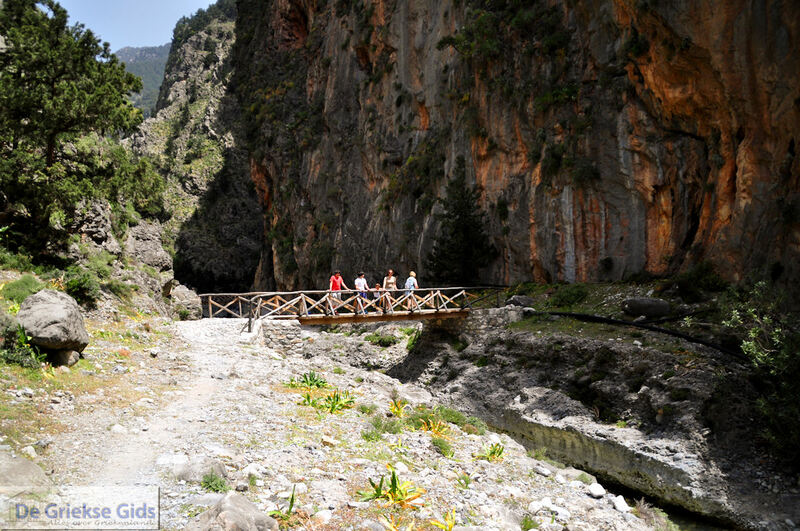 Here you can walk about five kilometers towards the canyon and back. 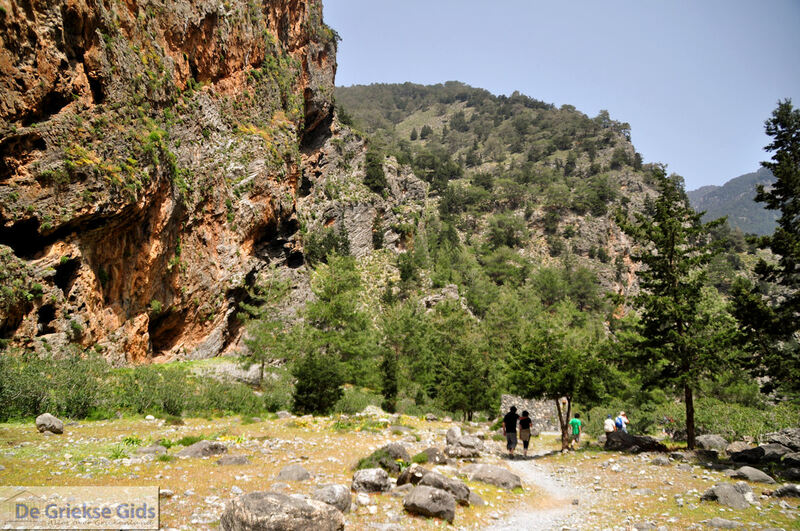 Chania Prefecture: Where on the map is Samaria located?